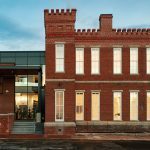 Dunlap and Partners provided MEP/FP for the adaptive re-use of the 8,500 SF former Leigh Street Armory into a museum, an exhibit, an archival and office space for the Black History Museum of Richmond. 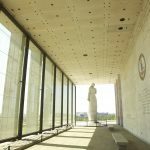 Dunlap & Partners provided mechanical, electrical, plumbing and fire protection engineering design services for the renovation and addition of the visitor’s center for this original 1955 building honoring our heroes. 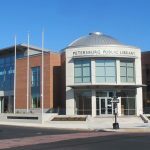 Mechanical, Electrical, Plumbing, & Fire Protection design was provided for this 15,000 SF Library. The project was certified LEED NC 2.2. Our engineers provided mechanical, electrical, plumbing, & fire protection engineering design for a 50,000 SF Library. The project was certified LEED Silver. Sustainable strategies included displacement ventilation and occupancy sensor lighting controls. 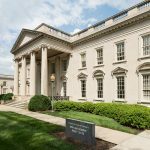 Dunlap and Partners were part of the restoration for this historic structure which was converted to a museum and provided mechanical, electrical and fire alarm system. 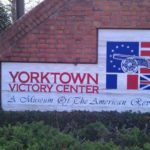 Engineering services were provided for the analysis and renovation of the humidification system at the 50,000 SF Yorktown Victory Center in historic Yorktown, Virginia. The Owner commissioned a system analysis of the existing humidification equipment serving a museum facility only a few years old. 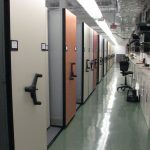 Humidity levels in the artifact display and storage areas had remained out of specified control ranges from the time the building was occupied. The firm recommended replacing several humidifiers and adding additional units, created bid documents for the work, and served as prime consultant for bidding and contract award. 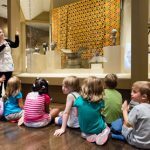 The resulting system changes allowed the Owner to maintain the temperature and humidity levels necessary to protect their exhibits as well as attract loaned artifacts from other institutions. 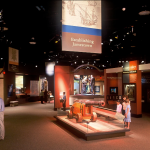 Mechanical, electrical and plumbing design was provided for this 50,000 SF central support complex serving the museums of Jamestown and the Yorktown Battlefield. 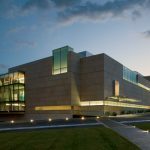 This facility provides areas for carpentry, painting, electrical and mechanical shop support of the exhibit displays, including design and fabrication. Also included is a large administrative space. A feasibility study and a master plan were provided for the restoration and adaptive reuse of Maury School. 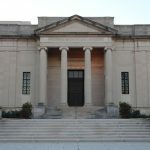 The early twentieth-century building functions as a community civic center with office space, space for museum exhibitions, theatrical performances and meeting rooms. 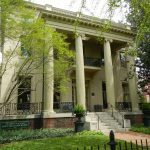 Our engineers provided design for this two-phase project involving renovations and additions to the historic Kent Valentine House occupied by the Garden Club. The project involved mechanical and electrical engineering services for the 11,000 SF facility. Our engineers provided structural, mechanical and electrical engineering services for this 40,000 SF, $5.0 million renovation of the Old Glen Allen School constructed in the 1920’s. 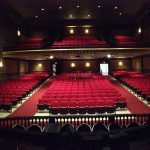 The new facility will include a 350 seat theater as well as art studios, costume and scene shops, rehearsal space and administrative offices. Mechanical, electrical and plumbing design was provided for a 5,000 SF educational facility. The project was awarded AIA Award for “Excellence in Architecture”. 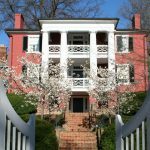 Design for mechanical and electrical systems were provided for a renovation of the Confederate Women’s Home. This 40,000 SF, $3.8 million renovation involved adaptive reuse of the building as the Center for Educational Outreach. Several major interior spaces required historic preservation. Dunlap & Partners provided a study for Duke University. This study demonstrated the systems options for this new botanical museum and presentation space. 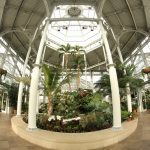 Our team provided MEP/FP design for multiple buildings in the botanical complex. 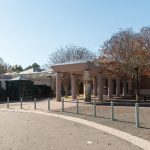 The buildings included 50,000 SF, visitor’s center with full service kitchen and dining, a 40,000 SF education building with ballroom, a central garden (electrical & plumbing only), a greenhouse, and a bookstore. 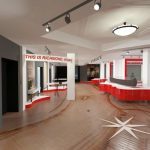 Our engineers provided mechanical and electrical design services for the design of a new fire suppression system throughout the entire museum facility. MEP engineering design services were provided for this 192,000 SF original Girl Scout cookie factory. The $19.329M adaptive re-use project was designed as a multi-family facility and apartments. This project was recognized as the “Best Adaptive Re-Use” for the 2015 GRACRE Design Awards. 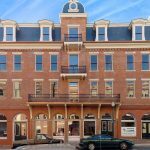 Our engineers provided MEP engineering design on this 3-story Colonial Revival and Art Deco building. Utilization of Historic Tax Credits were used to supplement funding for the $.2M project. This project was recognized as the “Best Cultural Project” for the 2015 GRACRE Design Awards. 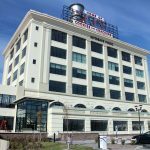 Mechanical and electrical system design was provided for this 36,000 SF, $5.8 million gallery, office and compact storage addition. 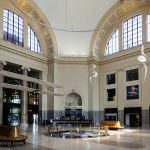 Engineering services were provided for this 70,000 SF, $6 million renovation of space in the John Russell Pope-designed historic building [dating to 1917] which included exhibit space, offices, classrooms, a gift shop and food service areas. Mechanical, electrical and plumbing engineering design was provided for the new cultural attraction at the historic Jamestown Settlement. The Theatre and Exhibition Hall space is comprised of 10,000 SF, with the Exhibition Galleries which included 36,000 SF. 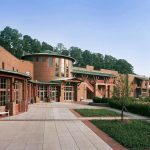 Our team provided engineering services for a new 26,000 SF, $5.4 million Nature Center at Maymont Park. 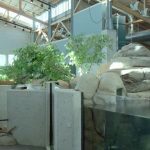 The program space included an aquarium/exhibits, classroom/labs, meeting rooms, food service and a gift shop. This historic structure located in the Broad Street Corridor of downtown Richmond was originally constructed in the 1920’s as a movie house. The building was abandoned in 1983 and sat vacant. 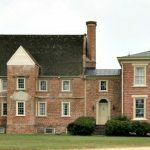 In 2002 the building was listed in the Virginia Landmarks Register and the National Register of Historic Places in 2003. 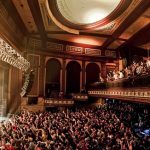 In 2006 Dunlap & Partners became part of the team challenged with designing the adaptive reuse of the National as a live entertainment venue. 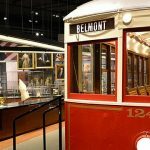 Our team provided mechanical, electrical, plumbing and fire protection design for the renovation of an historic downtown facility for use as a museum facility. 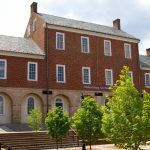 The 24,000 SF, four-story multi-use facility is intended to promote art and history in the Staunton area, and contains galleries and seven classrooms. A portion of the project was financed through the use of historical tax credits.